Swedish legend Ulf Andersson is highly regarded as one of the best positional players of the world. He has a very solid style and thus a majority of his games end in draws. He was also renowned as being a brilliant endgame player famous for winning “unwinnable” games especially in long games. The Rook endgames were his forte and he always relished on playing games to the end. 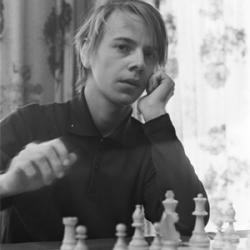 GM Andersson became an International Master in 1970 and a Grandmaster in 1972. Ever since, he has an envious list of tournament victories that include winning prestigious titles like Swedish Championship, Dortmund, Wijk Aan Zee and Reggio Emilia amongst several other achievements. At his peak, he was ranked 4th on the FIDE rating list. Later on, he took up correspondence chess rather seriously, becoming a grandmaster and also the world’s leading player in this format. Very few players in the world have been as successful as Andersson in both the formats of the game.